CRESTLINE — After dropping their season opener to Mapleton last Friday, the Crestline Bulldogs boys hoops squad was back at it again on Saturday, December 1 against the visiting Mount Gilead Indians. The Bulldogs would make a run at their first win of the season, but in the end, it would be the visitors coming out on top by a final score of 69-64. With the defeat, Crestline now sits at 0-2 in the early portion of the season. Crestline’s scoring would be led by Kaden Ronk on the evening as he posted 18 points to go along with two steals on the defensive end of the floor. Senior Ty Clark chimed in with 15 points to go with seven boards, an assist and two steals. Max Anatra and Spencer Harley would also finish in double figures in the scoring column for the home team. Anatra scored a dozen while dishing out three assists and grabbing one rebound and swiping a steal. Harley netted 10 points for the contest while also pulling in six rebounds, dishing two assists and recording two steals defensively. Trevor Phillips scored seven points, grabbed two rebounds and had two assists and a steal while teammate Calvin Reed scored two points and contributed two rebounds to round out the Crestline stat sheet. The ‘Dogs will head to Loudonville on Friday, December 7 to open up Mid-Buckeye Conference play against the hosting Redbirds before returning home for a varsity only contest against Ridgemont on Saturday. 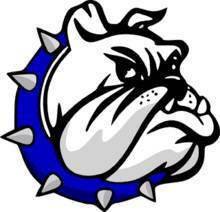 CRESTLINE —Back on Friday, November 30, the Crestline Bulldogs and new head coach Tyler Sanders opened their 2018-2019 season on their home floor against the visiting Mapleton Mounties of the Firelands Conference. Unfortunately, the offense for the Bulldogs would struggle and Mapleton would head home to Ashland with the victory; 54-41. Clark led the way for the ‘Dogs, racking up a double-double consisting of 10 points and 11 rebounds while also notching two steals defensively. While Clark was the only one to finish in double figures, Ronk, Phillips and Anatra were all close, scoring nine, eight and seven, respectively. Other statistics in the season-opening loss last Friday were: Ronk- 5 rebounds, 2 assists, 3 steals; Phillips- 1 assist, 1 steal; Anatra- 4 rebounds, 3 assists, 1 steal; Harley- 6 points, 4 rebounds, 2 steals; Ethan Clark- 2 rebounds and Caleb Hoskins- 1 point.